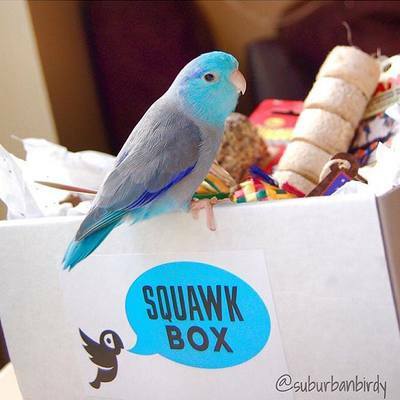 Enter your email address below to receive a notification when Squawk Box starts accepting new sign-ups! 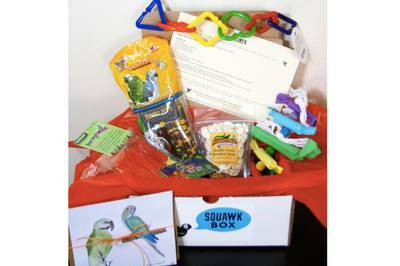 Enter your email address below to receive a notification when Squawk Box is accepting new sign-ups again. Your box will ship between the 5th and 7th of every month. Please order by the 4th to get the current box. 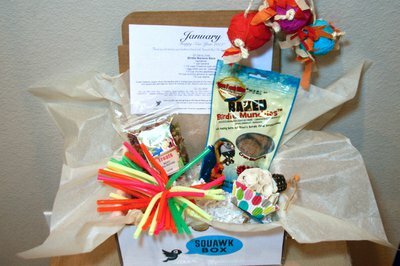 LAST DAY to order the HOLIDAY Squawk Box: December 4th. 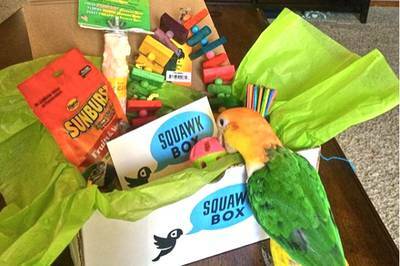 Squawk Box is the perfect monthly box to keep your bird(s) healthy and happy! Every month we surprise you and your feathered friend with a new variety of healthy and fun items that are specifically hand picked with your bird in mind! 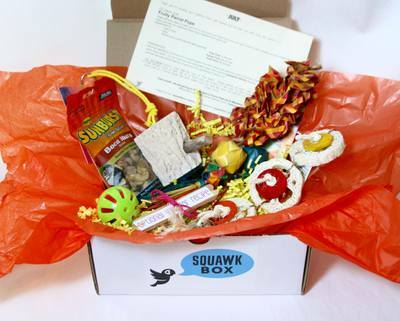 Keep your best friend (or friends) happy and stimulated with Squawk Box! A percentage of the profits goes to parrot rescues! I always love the toys that come in the box. I just wish there could be more toys. 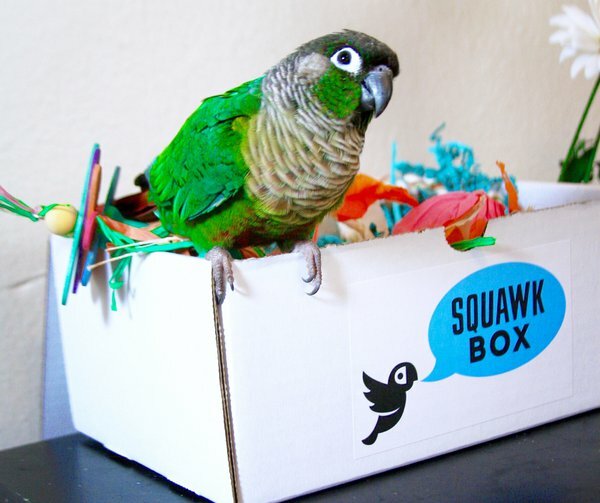 I've been purchasing a Squawk Box for over a year now. First for my Green Cheek Conure and now for my Goffin Cockatoo. He absolutely love it. He gets so excited to see that box. Cockatoo's destroy everything which is why this box is great. I get 3 new toys each month for him to destroy! I've needed to mix up my routine with my green cheek conure for a while. I ran out of inspiration for toys she might like so I decided to give it into the hands of the experts. Her box arrived in February. I was very impressed with the presentation (it was very aptly themed for Valentine's day), but the conure was afraid (she, like many birds, is scared of new things until they are proven not to kill her). I introduced one toy in her cage with a cupcake wrapper and soft, easily shreddable wood. Within a few days she went nuts and demolished it. I've introduced the next toy, a very cute woven palm-frond toy that looks like a dozen roses. She hasn't touched it yet, but with the right enticement (chia seeds), I think she'll enjoy it a lot. Very impressed with the box and I'll order another once she works through what we got.